If you are new to the Island or just visiting, MVOL’s Services category is the perfect place to find information on just about any service you’ll need day to day, for business meetings, retreats and personal and professional services of all kinds. Need a vet for your pet? a dry cleaner? Somewhere to get a tire replaced or a hem altered? Need a bank, a lawyer or someone to move your piano? You’ll find these and other specialized services at your fingertips. For those who work here, are visiting Martha’s Vineyard on business or when business related needs crop up unexpectedly during your vacation, check here for financial, communications, consulting services and more. 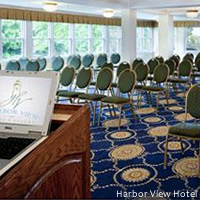 Also appearing among the topics contained under Martha’s Vineyard Services is a complete list of information on the Island’s business and conference center facilities including accommodations, video conferencing, event organizers and lighting and sound consulting. Whatever service you need you’ll find someone to help right here on Martha’s Vineyard Online. Martha’s Vineyard-Where great people and great ideas get together!